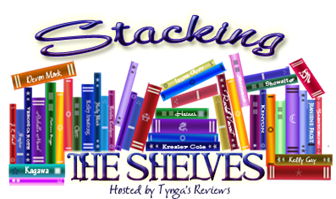 Stacking the Shelves is a meme hosted by Tynga's Reviews to share the books you've bought, borrowed or been given recently. I've also been reading a book I'll be part of a blog tour for this week, which honestly I'm not loving, but you'll hear about it in my review. And then there have been a few books I've read from work - these are fun to read on the tube during my commute, but none of them so far are particularly stand-out books, and as I work for the publisher I think it would be a bit... not okay? for me to say bad things about books we've published! At the same time I'm absolutely not going to lie in reviews and say I liked something just because I work for the company, so my policy with these books for now is going to be that I just won't talk about them unless I genuinely loved a book and think people should check it out. What have you been reading this week? Leave your links in the comments & I'll check them out! I've always thought it must be awkward being a book review blogger when you work for a publisher, for the exact reason you mentioned. I'd probably do the same, only review the ones I genuinely loved and think others would enjoy. I need to read more from Patrick Ness. This book sounds really good. I will look forward to your thoughts. I loved The Rest of Us Just Live Here! Really unusual story, I hope you enjoy it as well. I plan on reading something from Patrick Ness this new year. Have a good reading week. 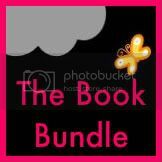 I have seen many good reviews about that book I hope you like it!! Sounds like you're settling into your new job/city really well! 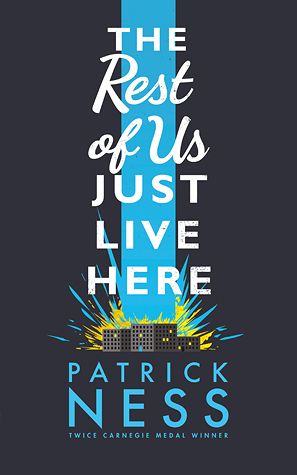 This is the one Patrick Ness book I still haven't read so looking forward to hearing what you think of it!